If you're craving for a sweet refreshing caffeine free drink. This is the perfect for you, especially if you're a Yakult lover like me! I would recommend to customize your drink for 50% level of sweetness for that perfect blend. Fall in love with this new drink from Serenitea. When I first tasted this drink, it reminded me of my childhood days with it's sweet strawberry flavour. It's a berry nice treat after a busy week. I ranked this one on the 8th spot since I'm a big cookies and cream addict! Whether it's ice cream, cake or even milktea -- I would definitely buy one! It's a sweet treat for me since this drink is a combination of cocoa and cookies & cream. I recommend adjusting the sweetness level to 75%, also remember to hydrate after! A glass of wafter a sweet treat is always a must. I like Okinawa milk teas since it is made of roasted brown sugar instead of a regular syrup. If you're craving for a creamy milk tea this is definitely for you. For me, I prefer to add pearls with this drink to satisfy my milk tea cravings. Hehe! Hokkaido milk teas are the perfect drink for caramel lovers. When I first tried this drink I really like the intense caramel flavor! I would prefer a sweetness level of 50% though, the full sweetness is too sweet for me. Also, do try adding panna cotta and pearls as your sinkers! Because a good cold milk tea will never be complete without pearls. A cool cup of Serenitea's Cranberry Black Tea is what you need after a long day of working. I like how this drink is refreshing especially that it's black tea. I just discovered 2 weeks ago that there's Hongkong milk tea at Serenitea. I've been craving for a Chinese / Thai kind of milk tea flavor and this one is the best so far! It's made from handcrafted black tea and black & white evaporated milk. I would actually recommend this drink and rate it as 9/10! Who else is a coffee and milktea lover like me? Serenitea just answered our prayers and made a drink made of Okinawa milk tea and a shot of espresso! This drink can actually help me survive a long busy day. 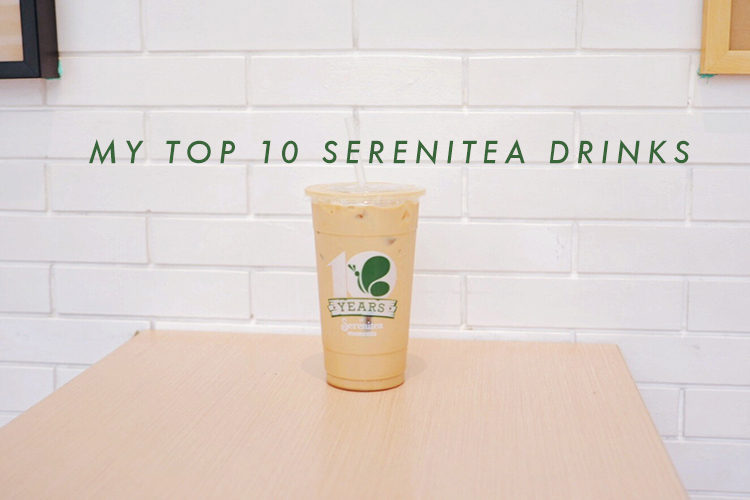 I ranked it on my top 3 best Serenitea drinks since its a combo of my favorite go-to drinks. Although, I would recommend customizing the sweetness into 75%. They also have Matcha Espresso included in their Chaffee Series. I honestly thought that I wouldn't be a fan of green tea shakes since I only drink it on a tea bag before. So when I first tried this drink, I actually loved it so matcha! Haha! Green tea also contains a lot of health benefits. It satisfies my craving for matcha so I'm including it on my top 3. The best thing about it? You can get this drink for Php 88 pesos only, it's a must-try. I love UBE-rry much! Hahaha. Whenever I hear the word, "Ube" I always remember my dad. He loves desserts with ube in it. So the moment I ordered this, it reminded me of my dad. I love how you can taste the ube halaya. It has the perfect pinoy taste when it comes to ube. Especially when you add pudding. I brought my dad one the moment I tried it. 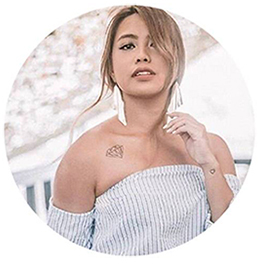 Hope this blog somehow helps you the next time you order in Serenitea! I would love to know what's your favorite Serenitea drink! Shoutout to the staff in Serenitea BGC Stopover for being so friendly!